House of Dignity is a premium fashion brand based in the capital city of Nigeria; Abuja. HOD was conceived in 2014 but began operations in 2016. 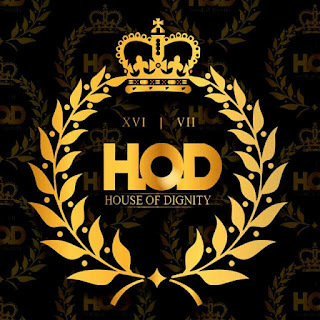 House of Dignity's philosophy is simply to ensure that clients step out in style and class regardless of their status. Also we are of the strong believe that no matter how fascinated we are with fashion trend, we should keep our sanity. Patrick U. Patrick is the founder and CEO of House Of Dignity. He is a graduate of political science from the University of Jos. He is also a one time lecturer with training and an expertise in fashion design. In an interview he granted this blog, the CEO of HOD had this to say: "I see myself as a visionary entrepreneur who strongly believes in well defined structures and systems. I am very passionate about excellence and the right values and that is what I want to infuse in the society through my brand." House Of Dignity is structured into various Departments operating simultaneously. The vision of the business in five years time is to become a household name in fashion in Nigeria, to expand to other countries in Africa and to become one of the top model producing brands within Nigeria and internationally. This is great vision and every I pray for you sir provide all the necessary resources needed accomplish this amazing vision sir. I am proud to be part of such great vision. It's been a long time coming..Have been waiting for this(HOD). We are heading to the top. We've got all it takes with God on our side.